This project aims to help end slavery in Mauritania by working with civil society organisations and influencing government officials to eradicate slavery in Mauritania. We will build the capacity of CSOs working towards the elimination of slavery through trainings, networking meetings and opportunities. We will better identify and assist those who were recently freed from slavery in Mauritania, paying special attention to women, supporting people emerging from slavery to acquire the skills and means to live independently of enslavement and exploitation. Another aspect of this project will be to strengthen the capacities of judges, prosecutors and other law enforcement officials to enable them to correctly identify and condemn the crimes of slavery. Thus, ensuring a more effective implementation of the Anti-slavery law and letting masters and people living in slavery know that slavery is no longer tolerated in Mauritania. Training CSOs to help them identify people emerging from slavery, provide pastoral support to them and mobilise them to take action against slavery. Train local activists on media work, raising awareness and how to advocate for the eradication of slavery in the country. Advocacy meetings with national authorities to share information on the progress of the slavery cases MRG is involved in, and to ensure that procedures are implemented quickly and impartially. Advocacy activities at the regional and international level to draw attention to the situation in Mauritania as well as to increase the dialogue and exchange of information between Mauritanian anti-slavery activists and key international actors. Legal advice, assistance and representation will be provided to at least 10 victims of slavery in national (including the Special Court) and regional (CAEDBE) fora during the 2 years of the project. Organize workshops and roundtables involving clerks, judges, prosecutors and law enforcement officials from all over the country to exchange on how critical their approach of victims of slavery is and the effective implementation of the 2015 law. Who is delivering the programme with us? 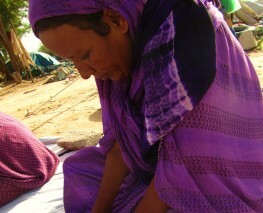 ASI played a key role in Mauritania’s struggle to end slavery (in partnership with SOS-Slaves) since 1995, supporting capacity building for actors and drafting research reports, leading to Awareness campaigns, microcredit activities, training, legal assistance and community support to promote citizenship and land rights for people of slave ancestry. ASI works closely with a range of multilateral and bilateral actors supporting the eradication of slavery in Mauritania. 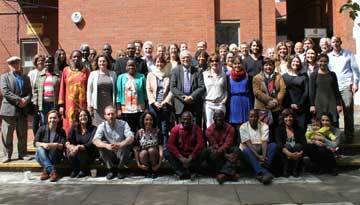 ASI works in close collaboration with other NGOs (such as IRA-USA, UNPO, SfTP, ITUC, Amnesty International) and Mauritanians CSOs involved in the fight against slavery, such as IRA-Mauritania, AFCF and AMDH. Created in 1995 by major figures from the previous movement El Hor, is the oldest anti-slavery organization in Mauritania. With more than 2,000 members and “Focal Points” in each region and in most of the cities of Mauritania, SOS has effectively helped hundreds of people escape from slavery and live independently. SOS is also internationally renowned for its commitment to the eradication of slavery for years, sharing poignant messages in public, media and UN forums. With the support of ASI, SOS was able to set up regional offices in the bastions of slavery in Atar, Nema and Bassikou. This programme is supported by the European Union. This content is the sole responsibility of Minority Rights Group International and can no way be seen to be reflecting the position of the European Union.